Tustin Plumbing, Heating & Air Conditioning offers a wide range of plumbing, HVAC and remodeling services in the city of Newport Beach. If your kitchen needs a makeover, or you are having plumbing or HVAC problems, call the experts at Tustin Plumbing, Heating & Air Conditioning. 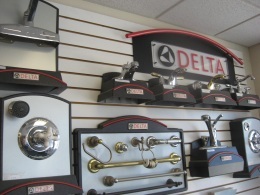 Our fully trained, reliable service technicians serve customers in Newport Beach daily. We are always close by for emergency problems, available 24 hours a day, 7 days a week. Give us a call! Receive $15 off any service in the city of Newport Beach! Click here to print out your $15 coupon.